Although we all suspected it, this time we have official confirmation: Gwyneth Paltrow’s too beautiful for words dress she gracefully worn at the Oscars this year? Yes, the white Tom Ford cape dress? Although we were fairly warned that there will be no Pepper Potts in The Avengers, the Oscars ceremony tipped us right when they put Gwyneth and Robert Downey Jr on the same stage! Pepper did join The Avengers (you’ll also notice her in the full cast list)! Wait! 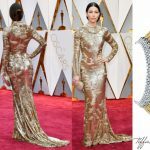 It gets better: Gwyneth Paltrow’s white Tom Ford Oscars dress was a tongue – in – check reference to her Iron Man liaison. 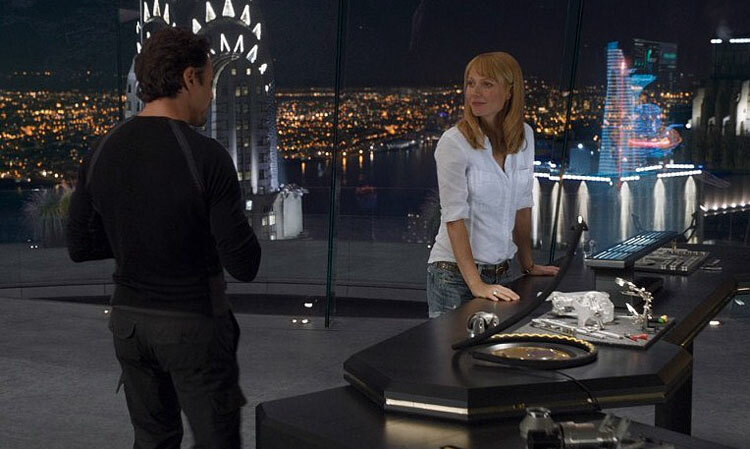 Pepper Potts isn’t all that actively involved in this year’s Avengers movie, but she appears in two key moments of the plot (at the beginning of the movie and close to the end, at the very peak of the action plot, check out the screen caps gallery here). 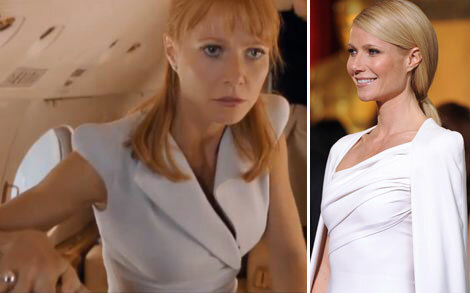 If we see her wearing jeans cutoff shorts and a white shirt at first, Pepper Potts is also wearing Tom Ford in the Avengers! In the airplane scene (just in case you forgot). Her structured light gray dress has a very similar cut to the one she worn on the Oscars Red Carpet. And the cape was clearly an Avengers giveaway, just like Hello Tailor reported! Oh, entertainment! Smoke and mirrors, everywhere!